Yesterday's big game delivered a ton of surprises. However, one of the biggest was the new Avengers: Endgame trailer that dropped early on. In the 30 seconds of new footage, Marvel Cinematic fans were treated to a new look at Rocket, Tony Stark and Nebula trying to repair the Benatar, Captain America strapping on his shield, and sad Thor, but there was no sign of Thanos. The villain briefly appeared in the first trailer back in December, but he was nowhere to be found this time around and Josh Brolin decided to give all of us a reminder. 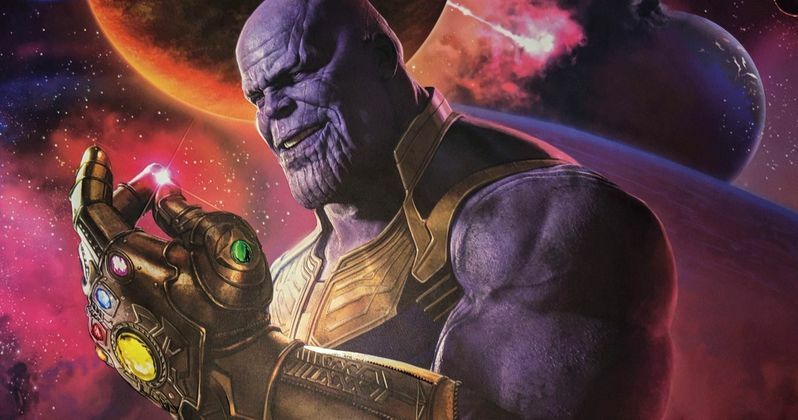 After the Avengers: Endgame trailer appeared online, Thanos star Josh Brolin posted it on his Instagram account and said, "This trailer is avoiding one major element. Me." The actor than used the purple devil emoji and hashtagged: "Team Thanos." Since we barely got to see the Mad Titan in the first trailer and not at all in the second, many MCU fans were starting to question his involvement in the sequel. With that being said, both trailers, while great, did not show much of anything. Thanos achieved his goal in Infinity War. He was able to acquire all of the Infinity Stones and Decimated half of the universe, bringing his so-called balance. In the latest Avengers: Endgame trailer we see the result of the Decimation on New York City, which has gone dark. Steve Rogers and the gang are down half of their crew and more considering that Tony Stark is out floating in space, and as Rogers said, the Avengers are not simply moving on and forgetting about what happened. As for what the Avengers are going to do about Thanos' actions, that remains unclear at the moment. While the first Avengers: Endgame trailer dealt with the loss of half of the universe, the second trailer shows the crew getting ready to do something about it. We've seen leaked set photos and there has been some strong speculation about time travel and the use of the Quantum Realm, which seems inevitable. The Quantum Realm has been confirmed to have a role in the MCU's future, so it makes perfect sense for this movie. While some MCU fans are happy that Marvel Studios didn't put out a trailer that shows a ton of footage, there are others who are a little bitter about the situation. Josh Brolin may fit into that second group, especially since he was left out of the new Avengers: Endgame trailer completely. Plus, there has been talks of a threat greater than the Mad Titan, so Brolin may be taking a backseat for the fourth Avengers movie. It's all a giant purple mystery for the time being. In the meantime, you can check out the trailer once again, along with a message from the Mad Titan below, thanks to Josh Brolin's Instagram account.